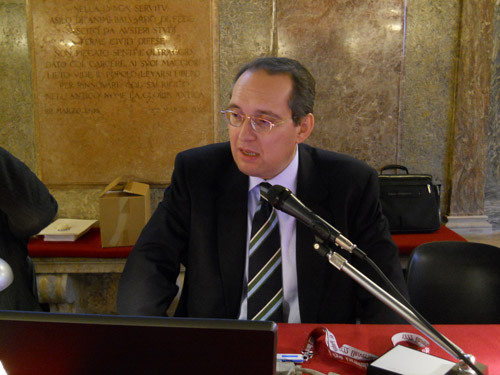 Venice, Ateneo Veneto, on Friday, 19th February 2016, 10.00 a.m.
Activity fulfilled with the Law 101, 2009 and following endorsements, and Veneto Region Law 15, 1994. 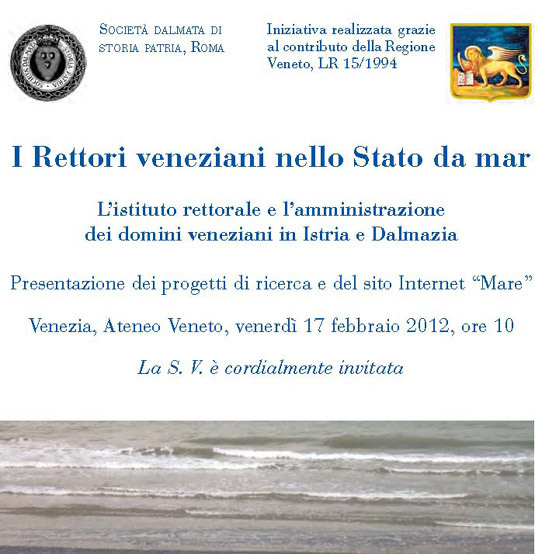 Activity fulfilled with the Veneto Region Law 15, 1994. 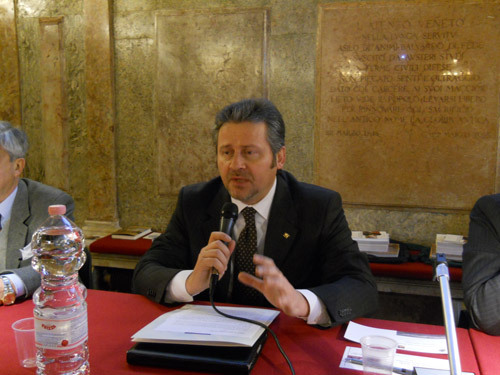 In the photo: Roberto Ciambetti, Councillor for the budget and the Local Bodies, presenting the compliments of the Veneto Region. 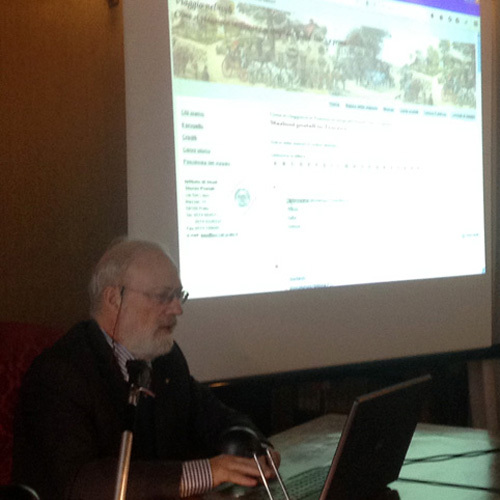 Photo: the very moment in which President Marino Zorzi clicks on the touch pad and the website is published online. 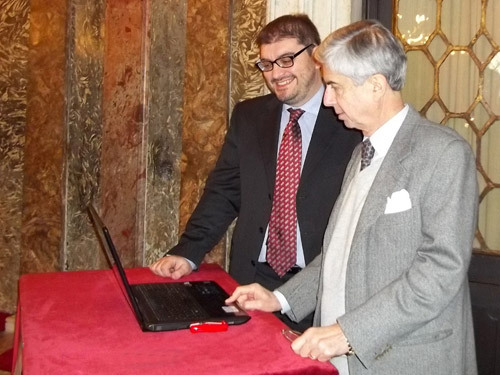 On the left, Marco Occhipinti, the webmaster. 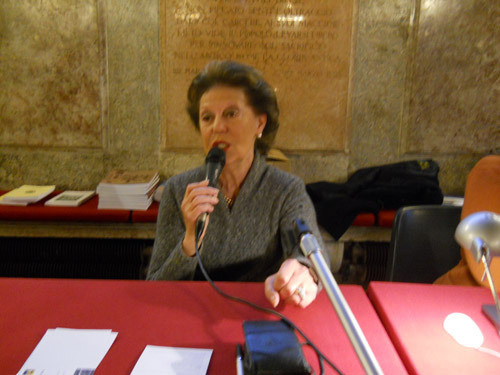 Dorit Raines presents the Fond. 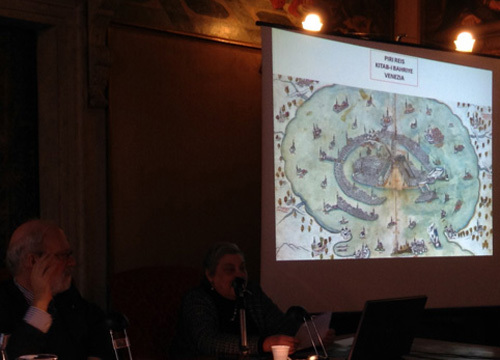 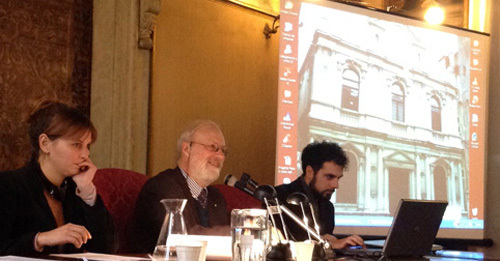 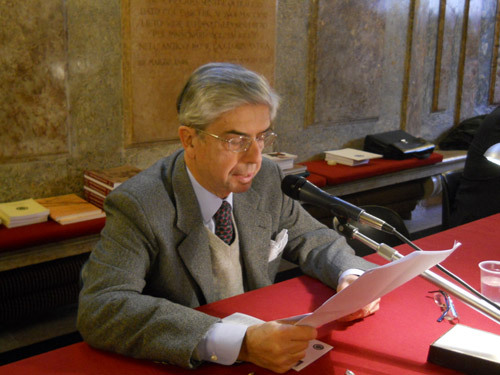 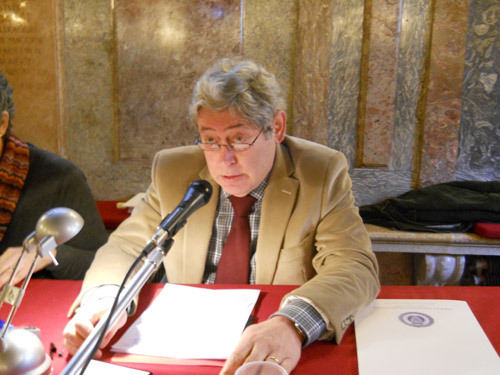 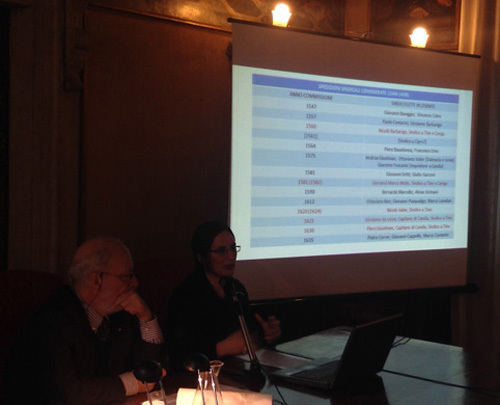 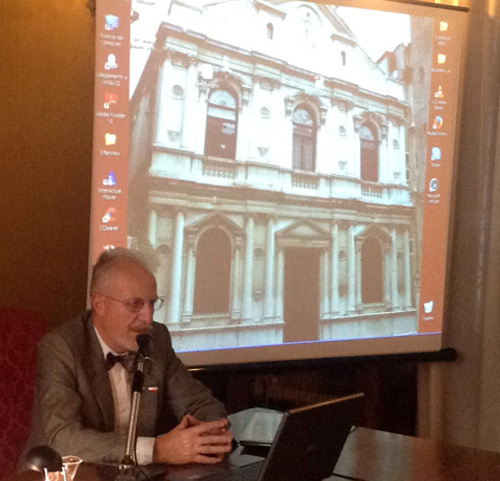 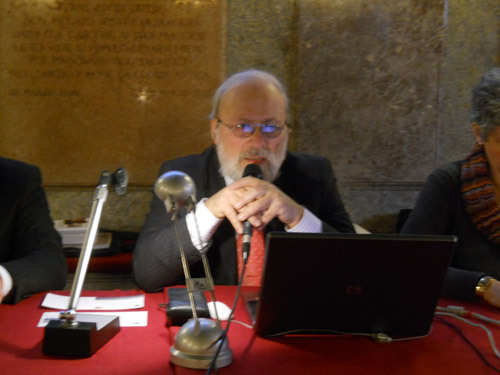 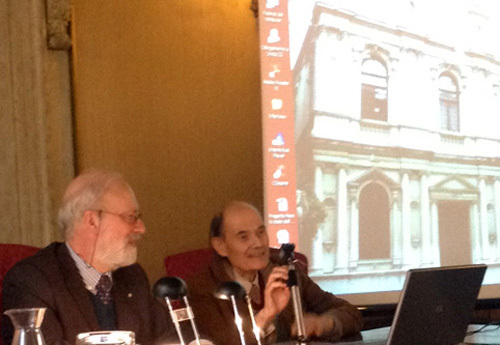 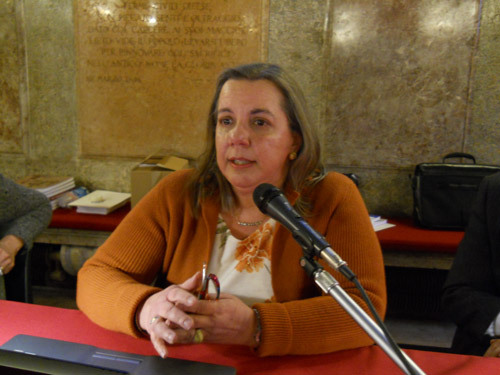 Afterwards, presentation of the volume ''Spiridione Lascarich, Alfiere della Serenissima'' by Lucio Toth. 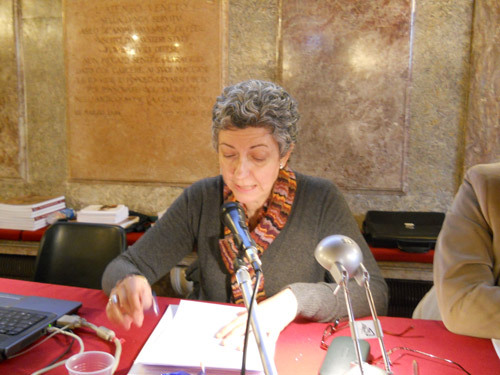 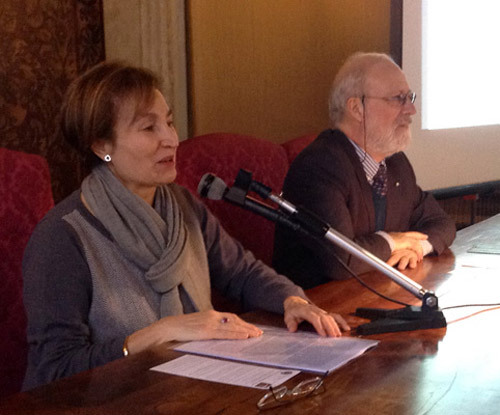 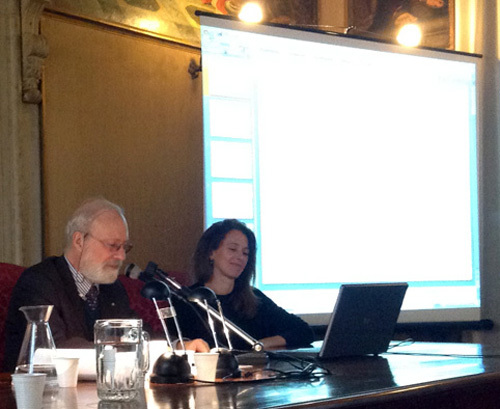 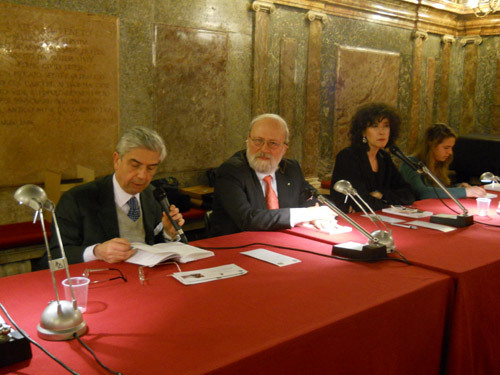 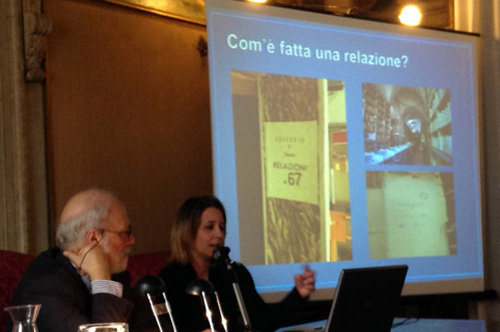 The book was presented by Marino Zorzi and Bruno Crevato-Selvaggi, with readings by Silvia Zanlorenzi (left to right).